CanSino started the construction of its Ebola vaccine manufacturing facility in Tianjin in October 2015. Image: courtesy of Tianjin CanSino Biotechnology. The facility will be spread over an area of 65,000m². Image: courtesy of Tianjin CanSino Biotechnology. The vaccine manufacturing facility will produce more than ten quality human vaccine products for China and other markets. Image: courtesy of Tianjin CanSino Biotechnology. 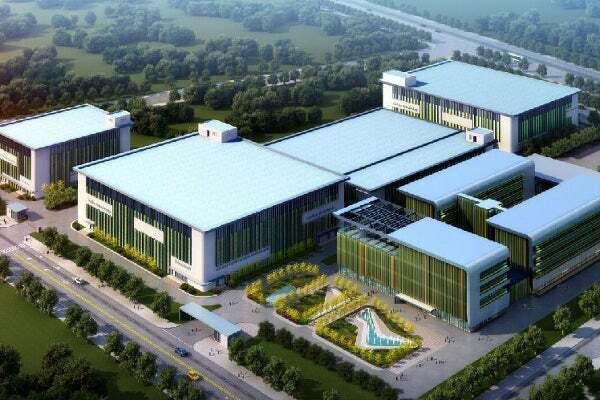 Tianjin CanSino Biotechnology (CanSino) began construction of its first fully integrated Ebola vaccine manufacturing facility at Tianjin Economic Technological Development Area (TEDA) west zone in China in October 2015. The new facility will be used for the development of innovative vaccine products for treating the Ebola virus disease (EVD). CanSino sought financing for the project from Qiming Venture Partners, Lilly Asia Ventures and other investors. The total estimated investment for construction of the manufacturing facility is estimated to be ¥2bn ($315m), of which Lilly Asia Ventures’ investment is $15m. The new manufacturing facility will be spread over 65,000m². It will be built in compliance with China and World Health Organisation (WHO)’s good manufacturing practice (GMP) standards and produce annual industrial output valued up to $600m. The facility will produce ten quality human vaccine products, including the EVD vaccine, multivalent meningococcal and pneumococcal conjugate vaccines, as well as the DTcP vaccine. Its production capacity is expected to be more than 200 million doses a year. The vaccine manufacturing facility broke ground for construction in October 2015. The first phase of construction is expected to be completed by September 2018. The Academy of Military Medical Sciences of China discovered an Ebola vaccine, which was approved for clinical trials in December 2014. The vaccine is being developed by CanSino in partnership with the Beijing Institute of Biotechnology. The clinical development of the vaccine is based on the Ebola virus strain that caused the 2014 epidemic. The Phase I double-blind, placebo-controlled study, which was conducted on recombinant adenovirus type-5 vaccine in Jiangsu province, China, enrolled 120 healthy adults. "The clinical development of the vaccine is based on the Ebola virus strain that caused the 2014 epidemic." Study results announced in March 2015 demonstrated that subjects administered with the vaccine reported 95% effectiveness in a low dose and 100% in a higher dose. Subjects are called to undergo further clinical trials in Africa to determine whether the vaccine’s immune response is strong enough to fight off an actual Ebola infection. The vaccine is currently undergoing Phase II clinical trials in Africa. CanSino submitted four clinical trial applications (CTA) for the vaccine to China Food and Drug Administration (CFDA), including adenovirus type 5 vector-based EVD vaccine, diphtheria and tetanus toxoids, component pertussis vaccine adsorbed, and polyvalent meningococcal conjugate vaccine. Tianjin CanSino Biotechnology is a biotechnology company based in China. The company was founded in Tianjin Economic and Technological Development Area (TEDA) in 2009 and engages in research and development (R&D), manufacturing and commercialisation of vaccine products for human use. It also develops quality vaccines for China and other emerging countries. Creapharm, your customised international clinical supply services partner, offers clinical GMP services, clinical packaging know-how, manufacturing and clinical distribution expertise including cold chain management, IMP sourcing and importation solutions for all your clinical trials.